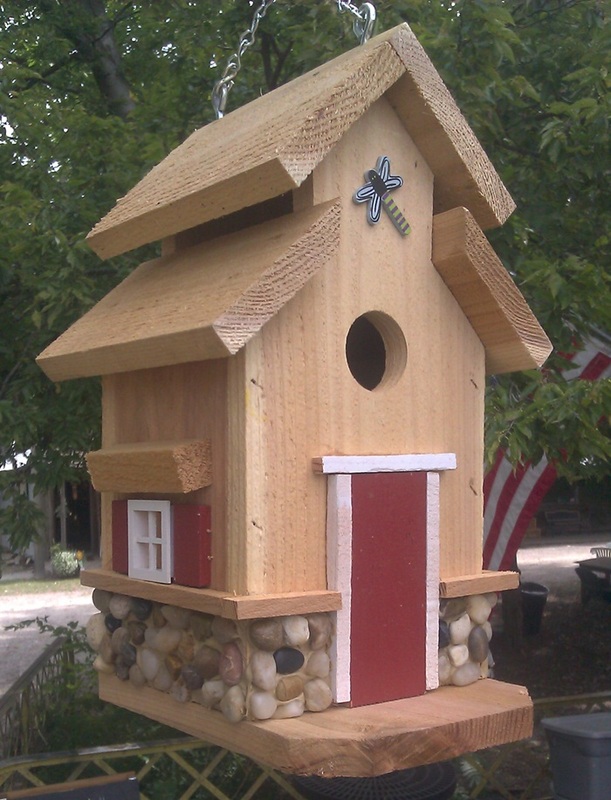 Dimensions 6" x 6" x 11"
Chesapeake Style Bird house with rock trim. This house is a take off from our 2 most popular bird houses, The Rockford and The Cedar Bird house and combines the best feastures of both. Constructed of long lasting western red cedar and trimmed with attractive river rock. House has ventilation gaps and weep holes to keep birds comfortable and dry. Bottom removes for easy cleanout. Available with red, green, gray or blue trim. Cutout on front will vary depending on current inventory.